Leia Organa, born Amidala Skywalker, served as princess of Alderaan, a member of the Imperial Senate, a general in the Alliance to Restore the Republic and New Republic, and the founding general of the Resistance. Learn more from Wookieepedia. 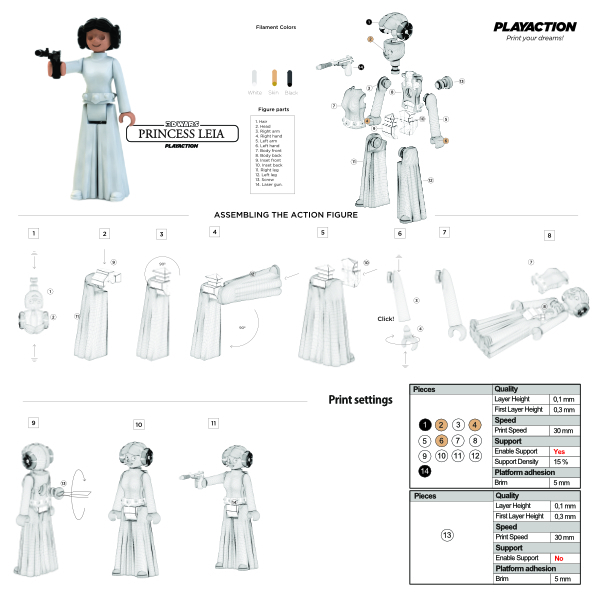 You can download Leia´s minifigure from the following sites.